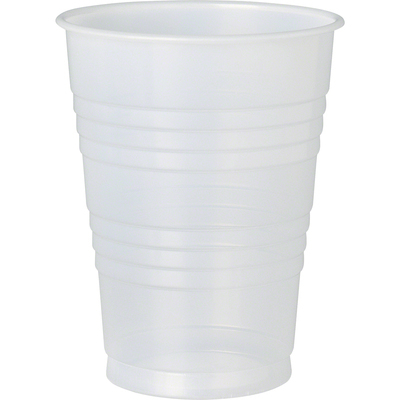 This Tall Cold Cup Is A Great Economical Alternative For Plastic Cups. Double Sidewall Ribbing Adds Cup Strength, Safety And Convenience. Translucent Design Allows Easy Beverage Identification. Rolled Rim Provides Secure Lid Fit For Leak-Resistance. Lids Are Not Included.. This Tall Cold Cup Is A Great Economical Alternative For Plastic Cups. Double Sidewall Ribbing Adds Cup Strength, Safety And Convenience. Translucent Design Allows Easy Beverage Identification. Rolled Rim Provides Secure Lid Fit For Leak-Resistance. Lids Are Not Included.